Association magazines have a challenge: They need to compete with consumer publications for their members’ attention, yet typically they lack the budgets to make their magazine as glitzy. While the articles in an association magazine can be as engaging and informative as their consumer competitors, if someone doesn’t open the publication, that content is a lost opportunity. 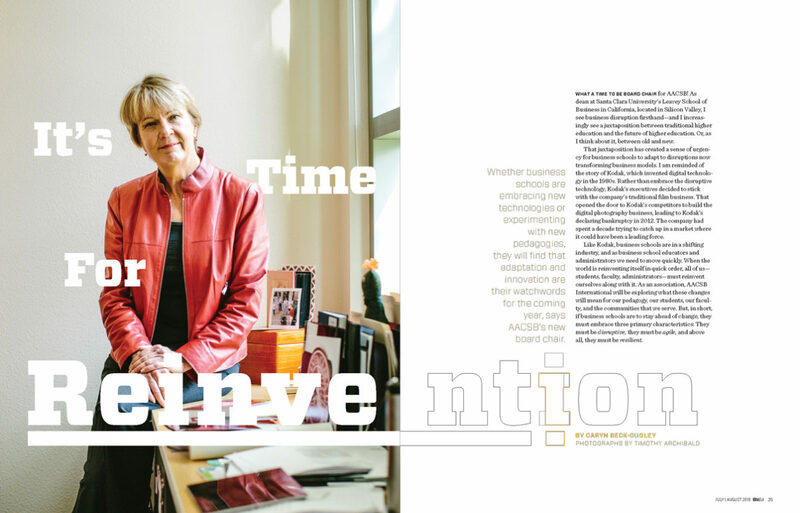 Additionally, association magazines are created for a readership that is looking to connect beyond the printed page. 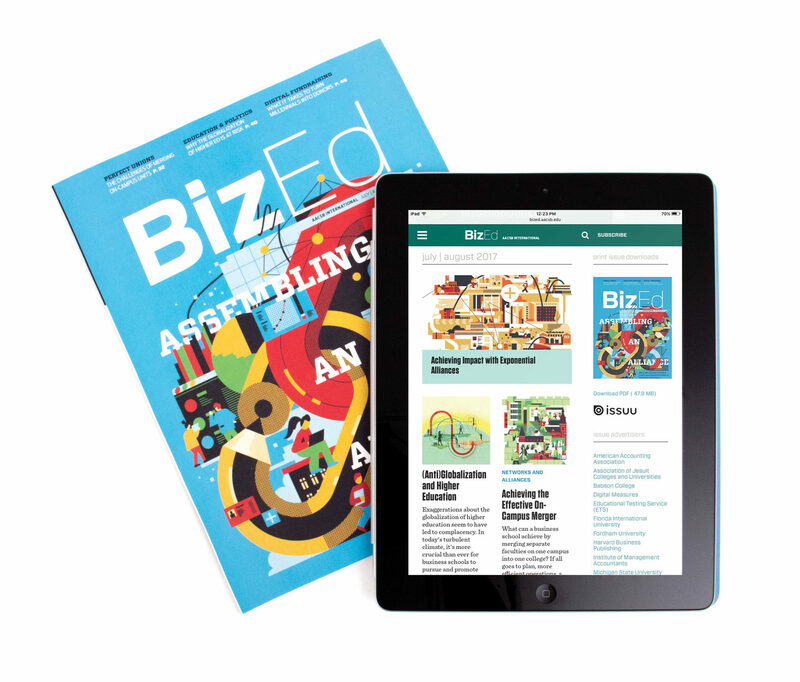 Published by AACSB International, BizEd’s readers are deans and faculty from business schools worldwide. 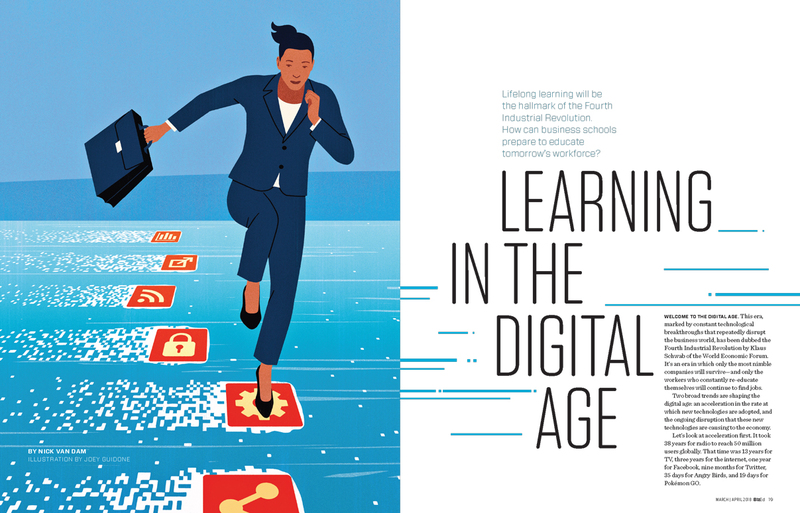 The magazine’s competition includes highly regarded publications such as the Harvard Business Review, The Wall Street Journal, Bloomberg Businessweek, and Fast Company. When we redesigned the publication, we reviewed the budget and allocated resources for original illustrations and photography. 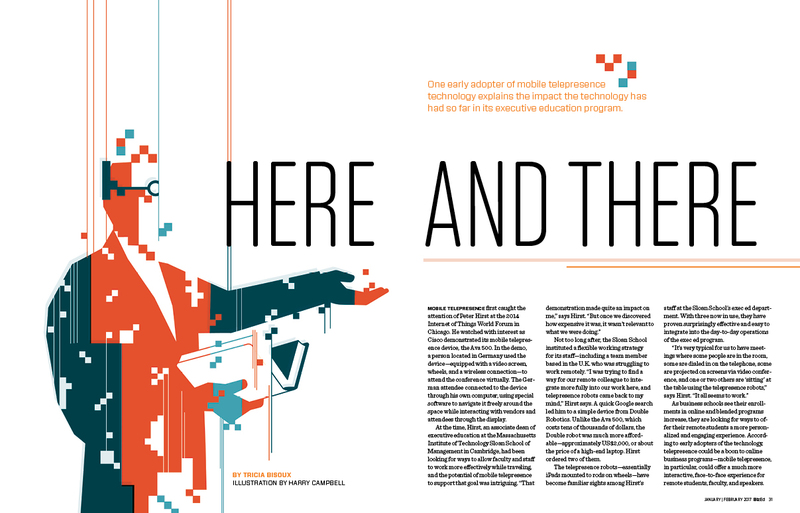 Now each issue of BizEd is packed with the work of award-winning illustrators and photographers. When we redesigned the publication, we focused on original illustrations and photography instead of the former stock imagery heavy direction. 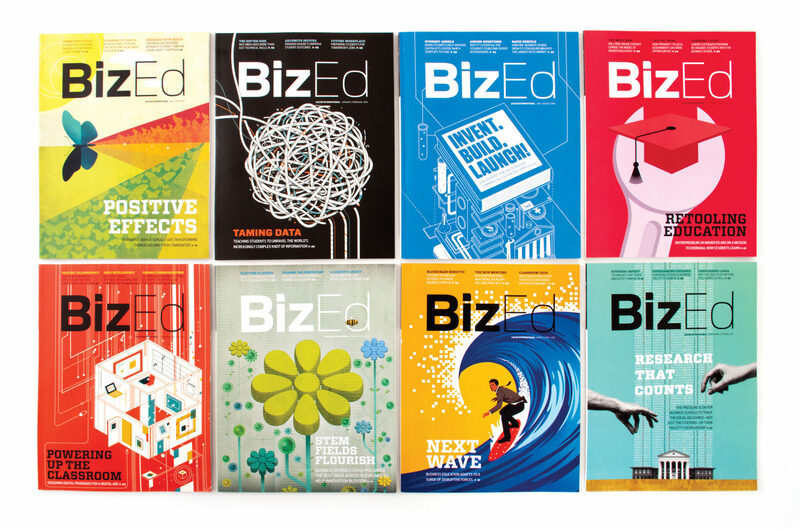 Now each issue of BizEd is packed with the work of award-winning illustrators and photographers. Along with art-directed imagery, we work with the editors to identify content that can be packaged in more engaging ways. 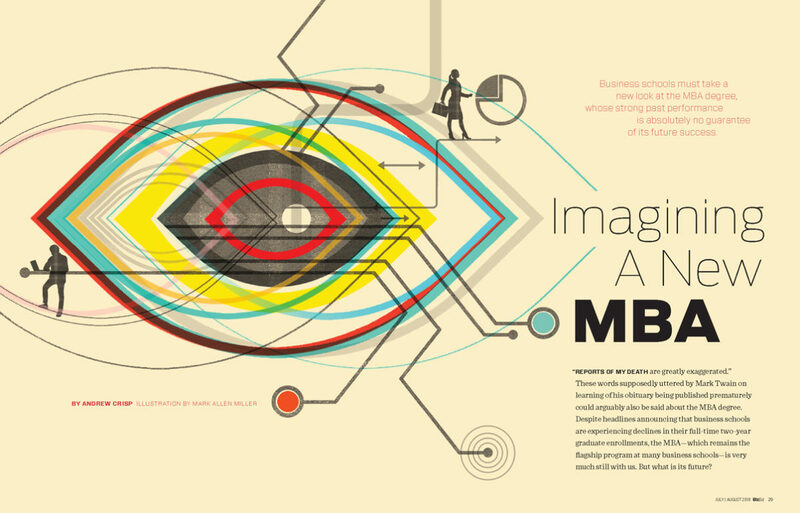 Infographics replace longer, text-only articles for an engaging, accessible read. Stock imagery and supplied photography is used thoughtfully throughout the publication to keep the project within budget. But it is no longer enough for magazines to publish monthly or bi-monthly. Readers want and need access to new content daily. This is especially true for an association magazine that keeps its membership up-to-date on the latest news, innovations, and professional issues. 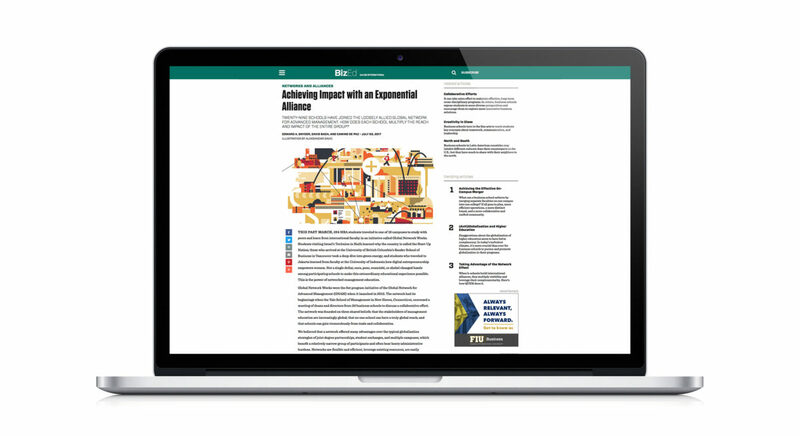 The publication website allows AACSB to publish web-only articles, and sharing to social media is just a click away. This savvy global network of members can also access and search relevant archived content on the digital edition of the publication. The interactive site allows readers to peruse and review articles in multiple ways, from smart searching, to grouping by theme, to reading the full issue. Articles are collated by most popular and related article suggestions are shared when a specific article is selected.